A winning team. We all know what it feels like to be part of one – the feeling is indescribable – the camaraderie, the dedication, the ability to produce results with skill & precision. 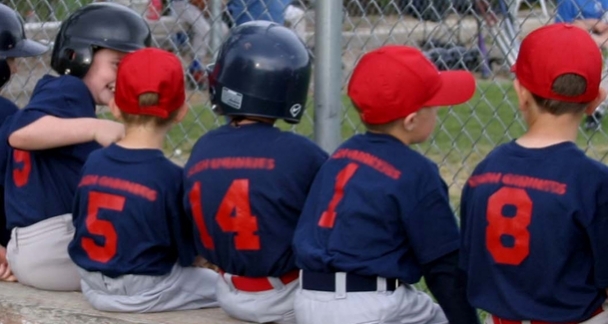 So how do we create that winning team feeling and start hitting more home runs at work? How do we start seeing each other as All-Stars? Starting Line-Up™ is a simple & fun interviewing process with deceptively impactful results. The game starts by asking players to think of a time they were on a winning team and ask them to share those stories. The conversation begins to heighten the energy in the room, people get excited to replicate that possibility – if they’ve experienced it before, then why can’t it happen again? The fun continues as we collect stats and create business-related baseball cards for the players on our team. We’ll make personal connections while discovering each other’s strengths and work style preferences. Once you purchase Starting Line-Up™, you'll immediately receive a detailed Leader's Guide that leaves nothing to chance. Your down-load also includes a graphically appealing baseball card PDF for you to print & copy for use with your attendees. Once you've bought it, you own it for life! The session is scaleable, lasting anywhere from 60-90 minutes. Starting Line-Up™ introduces the players on your team to one another in a fun and easy manner. Secure a winning season with Starting Line-Up™. So buy now and batter up! Ask us about this one-size-fits all power-house experience. Watch your Movers and Shakers share ideas, offer resources and learn from each other in this fast-paced structured exchange! Perfect for any sized gathering - from departmental meetings to large conferences. Find out more. We offer an extensive selection of leading-edge programs on leadership development, navigating change & cultivating a cuture of collaboration. Click here to review our How Do I Choose? page. Download our entire catalog or request a catalog by mail.